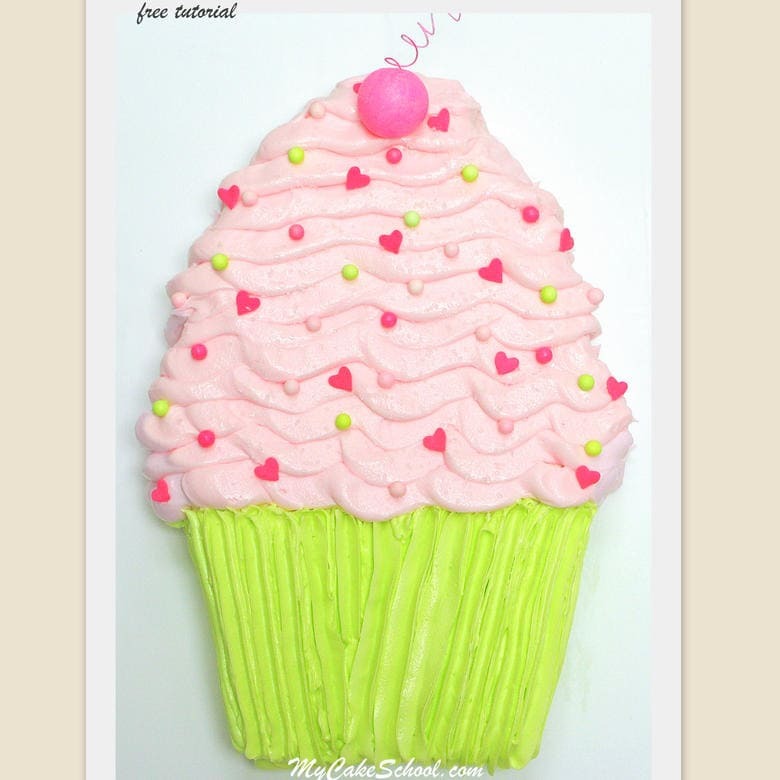 Today I’m going to share an easy Cupcake Sheet Cake tutorial with you! This CUTE buttercream cake design would be great for children’s birthday parties, it’s perfect for all skill levels of cake decorating, and the end result is SO much cuter than an ordinary sheet cake! Let’s get started… it’s time for some cuteness! 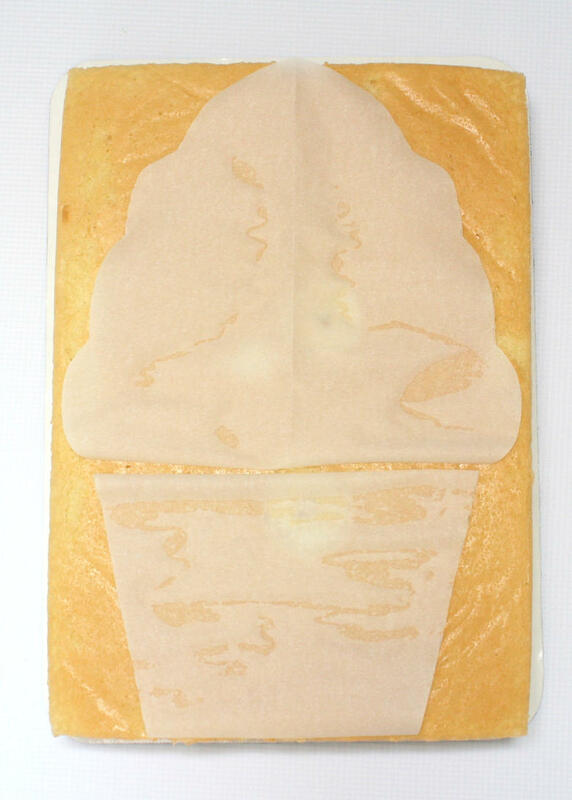 Here is our 9×13″ cake (on it’s own cake cardboard) and a basic template that I cut from parchment paper. 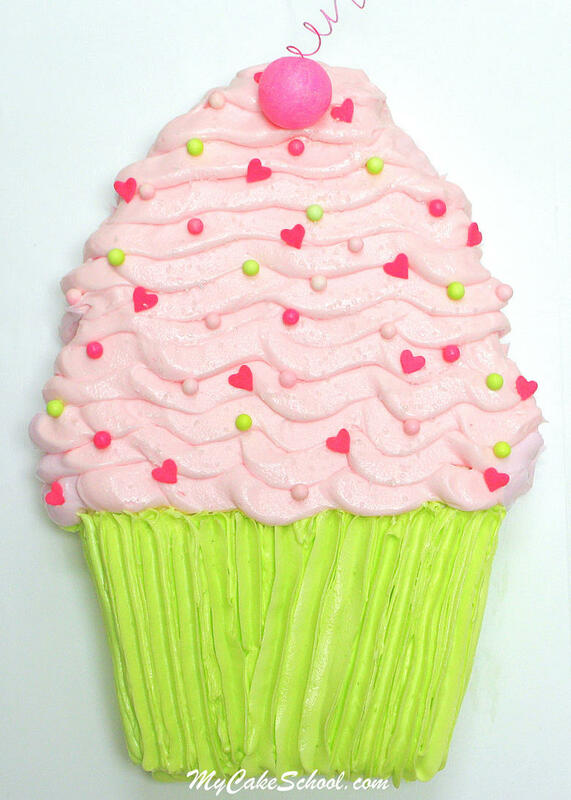 I crumb coated the cake with our Classic Vanilla Buttercream Frosting! 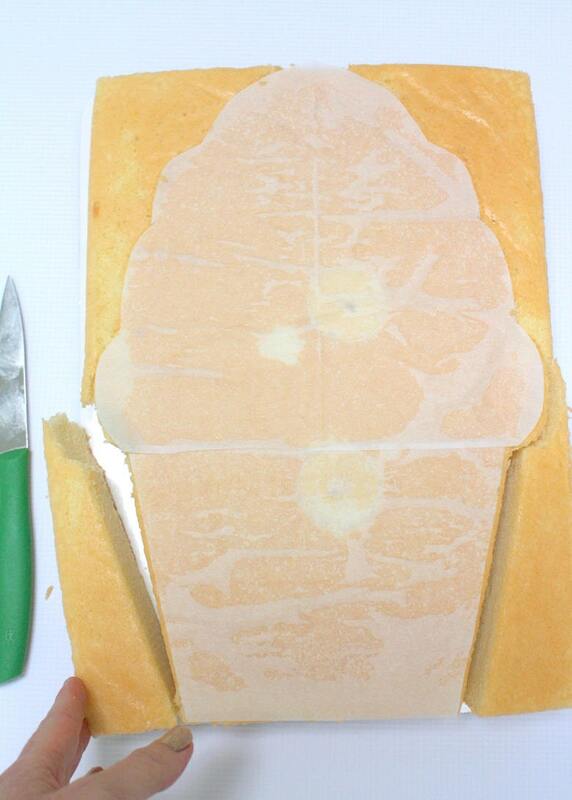 Next, I trimmed away the excess cake board to fit the shape of the cake. 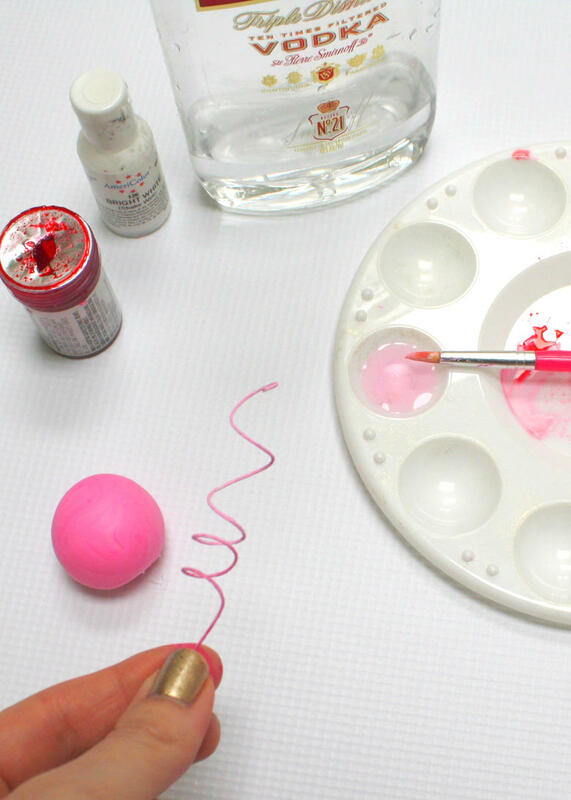 You can do this step with an xacto knife. I then moved the cake to the final cake base, which was three sheet cake cardboards taped together and covered with a plastic tablecloth. (When I do this, I secure the tightly pulled tablecloth on the underside of the cake base with staples.) 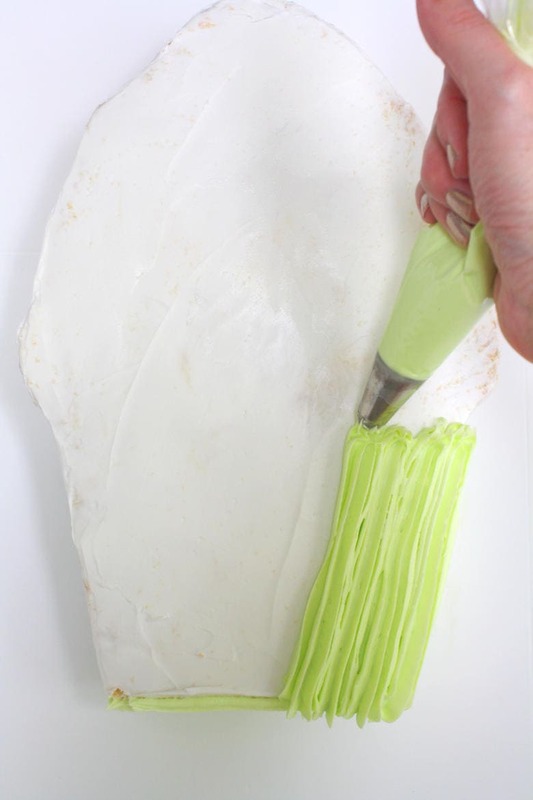 You’ll want to glue the cake to the cake base with a but of buttercream. 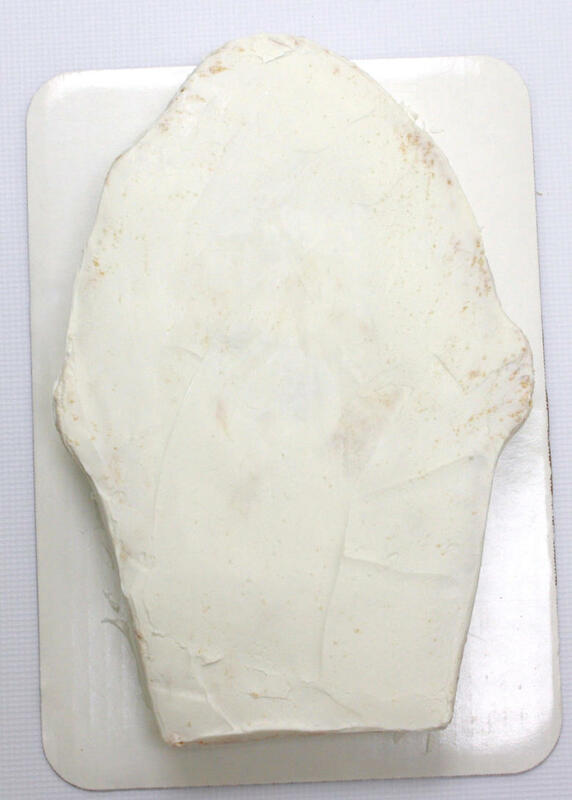 Use your cake base of choice, but if you are using cake cardboards, I would recommend using three so that it is sturdy enough to prevent the board from bending or buckling. 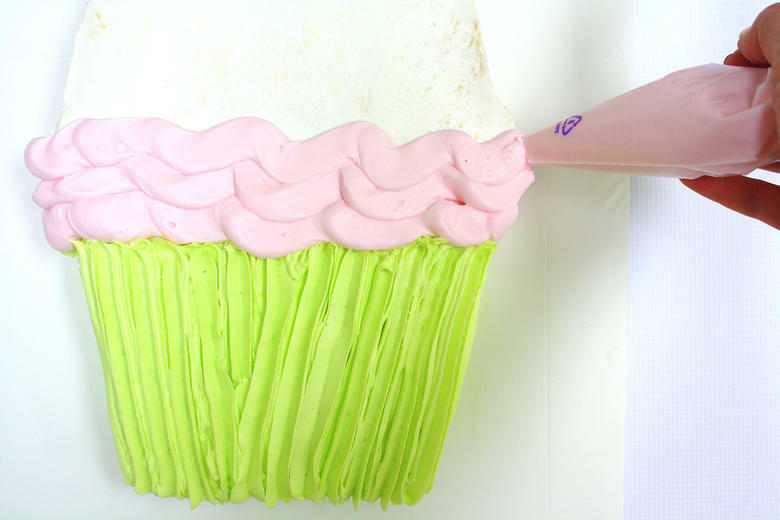 Next, I snipped the end from a disposable piping bag to create a medium sized opening and then piped several wavy rows of delicious pink buttercream (tinted with Americolor Deep Pink Coloring Gel)! Almost finished… I love how quickly this cake design begins to take shape! 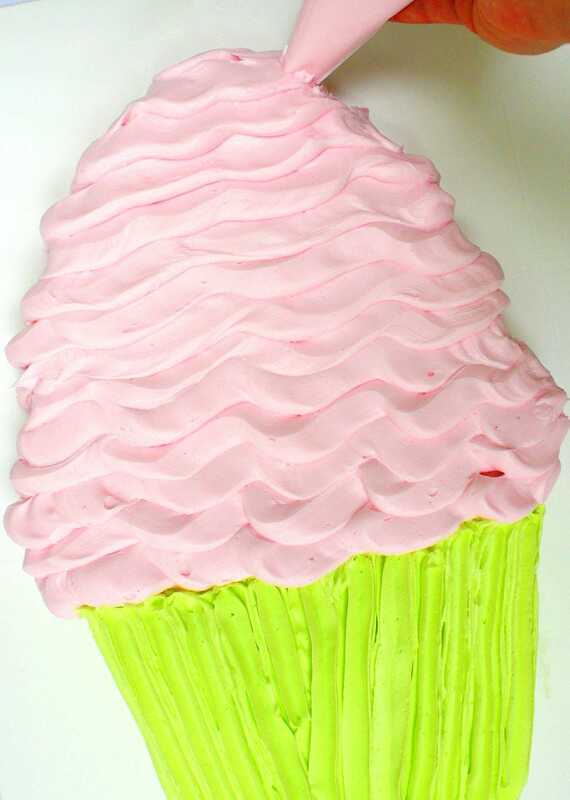 Let your pink frosting overlap the top of the green cupcake liner. 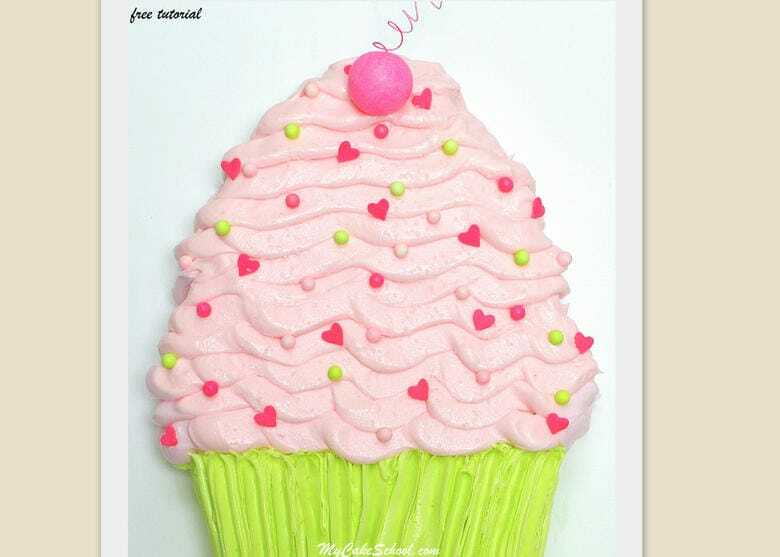 As a final touch, I added sprinkles in shades of pink and green! Thanks for stopping by My Cake School today! We hope that you enjoyed the tutorial! Make sure to check out our full collection of cake and frosting recipes in our Recipes Section, as well as more free cake tutorials in our Free Tutorials Section! Ice Cream Cone Cupcakes!!! !-Minute Video & Blog Tutorial! was this a single batter or a double batter for this size cake?